Danny was born an entrepreneur and was taught business and sales skills by his late father, Jim Flood, the founder of several successful business such as Odyssey Golf and Aldila. Danny is the founder of LavaLink, a digital marketing and web design agency based in San Diego, CA. Danny built his first business operation at the age of 9 under the tutelage of his father: A trash removal service where Danny and a friend would knock on doors and offer to deliver people’s trash to the dumpster. It was a free service, they worked solely for tips. Danny holds a degree in Advertising from the Art Institute, where he learned the principles of design, marketing, and sales. Danny’s favorite sales and marketing authors include David Ogilvy, Claude Hopkins, John Caples, Dan Kennedy, Jay Abraham, Robert Cialdini, and Robert Collier. He has also studied under world-class internet marketers such as Frank Kern, Eben Pagan, Mike Koenigs, Ryan Deiss, Don Crowther, Marlon Sanders, Kevin Wilke, and others. To date, Danny has built 3 mobile apps, written 5 e-books, and designed over 30 websites. He created the WordPress Design Institute, where he has taught web design to over 2,000 students. Danny writes on his personal blog and business blog. Each year, Danny travels abroad for 3-6 months, usually beginning in November. He has lived in Argentina, Brazil, Mexico, Thailand, Vietnam, and Laos. Danny studied tango dancing in Buenos Aires and performed in Plaza Dorrego square. 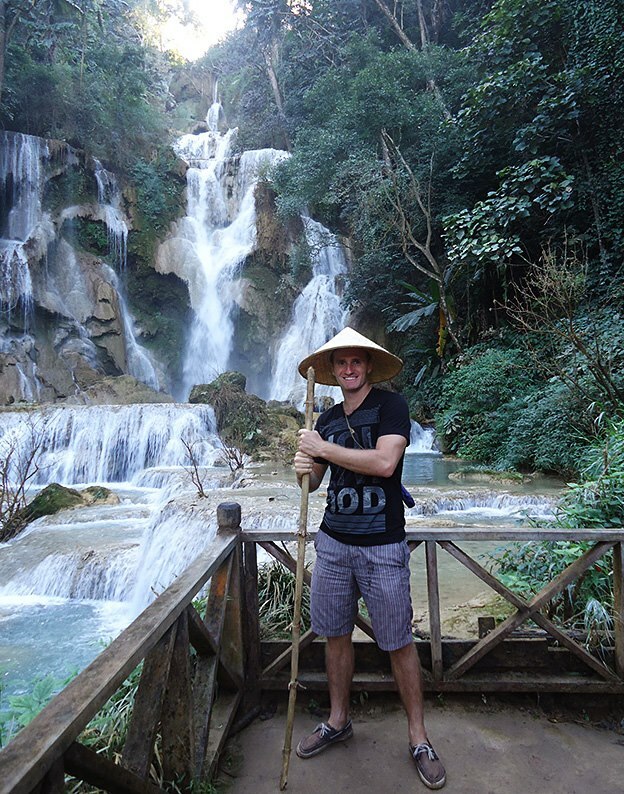 Danny has ridden a motorbike across the length of Vietnam and hitchhiked all over Brazil. Danny loves surfing, dancing, racing motorbikes and ATVs, and playing musical instruments. He is currently learning the Bawu, a Chinese reed instrument. Danny is currently studying the Wu-Dang form of Tai Chi and has mastered the first 4 stages of the square form. Danny is a nutrition junkie who eats raw and organic foods as often as possible. Danny reads at least one business or marketing book a week. Danny is extremely passionate about business and entrepreneurship. Danny is the founder and proud member of a very successful mastermind group based on the Dreamlining exercise from the Four Hour Workweek. He hopes to expand upon the masterminding model to include new chapters and members. Danny often interviews successful online marketing gurus and invites successful CEO’s into his personal and professional network. Danny is hard at work writing his first published book, which will be completed in 2013. Danny is an advocate and frequent contributor of Kiva.org, a non-profit service that allows micro-loans to be made to entrepreneurs in developing countries. Danny is single with no kids, but he does have a really cute dog. Connect with Daniel on Twitter, Google +, LinkedIn.